Ideal when kitchen space is at a premium, this integrated larder fridge comes with adjustable glass shelves for storing larger items. And it's frost free, so you won't need to spend time defrosting it manually. 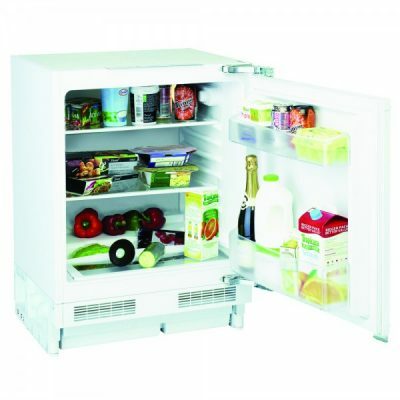 Antibacterial Door Seal: You won't need to worry about bacteria coming into contact with your food and spoiling it, thanks to the antibacterial door seals on this appliance which are designed to prevent bacteria from forming and entering the fridge. Auto Defrost: Keeping the fridge's back wall free of ice, this fridge will automatically defrost, saving you time and effort.